This specialized formula offers a natural alternative to expensive laser procedures. It contains a highly concentrated botanical complex, active plant extracts, and vitamins. It helps diminish the appearance of veins, spider veins, red blotches, under eye dark circles and broken capillaries for healthier and younger looking skin. 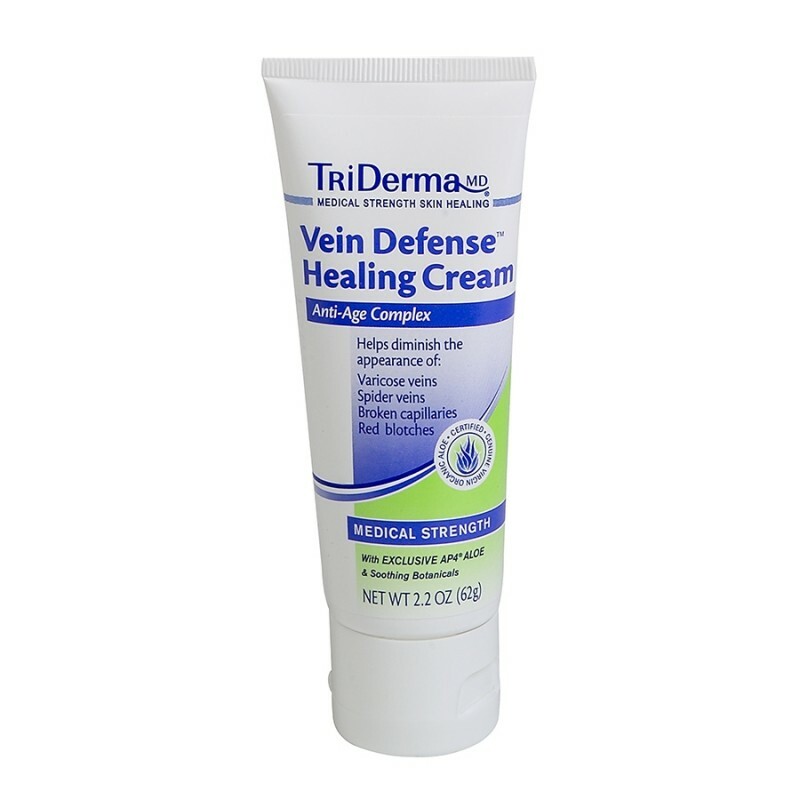 About six months ago, my wife and I started using vein defense for our varicose veins. Mine was severe in a four-inch area with large knots. Now, we are on our second bottle of the stuff, and mine are barely visible as are my wives. I have Rosacea that gets really red. Summertime, exercise, house cleaning...its makes my face and neck look like I spent the day at the beach. On top of that I am dry, have some eczema on my feet and hands, spider veins on my cheeks. My skin is sensitive and reacts to the wrong ingredients immediately. I am also battling under eye circles, skin discoloration, ageing and fine lines. Triderma products just calm, soothe, moisturize and repair my skin issues. My doctor put me on the RX creams and anti-biotics. Terrible side effects. I am still taking probiotics to keep my stomach healthy. The RX cream burned, intensified the worst. To say that I have tried, from least to most expensive otc products is fact. Triderma works and keeps working without creating more damage. This stuff is GREAT... for SO MANY things! 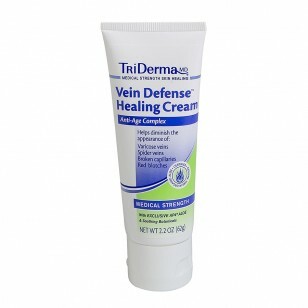 Another great Triderma product that really seems to help my skin in so many ways. It's great under the eyes, too, and helps my redness. It also helps any weird roughness I might notice, when nothing else seems to help, though I am not sure why it does. Another staple in my skin care regime, from Triderma. I have really come to trust many of their products, and their EXCELLENT customer service, if I have any questions or problems. I massage this cream into a spot on my upper thigh that has a small spider vein. This cream has some shimmer to it which I believe helps camouflage it when the light hits it. I will need to continuously use this product to see if it diminishes it. Apply twice daily on clean skin to targeted areas on face or body. Safe for all skin types. aloe barbadensis (aloe vera) leaf extract*, arnica montana flower extract, glycerin, aesculus hippocastanium extract, ruscus aculeatus root extract, glycyrrhiza glabra extract, magnesium silicate, squalane, centella asiatica extract, glyceryl stearate, safflower seed oil, calendula officinalis flower extract, polysorbate-60, vitis vinifera (grape) seed extract, zinc gluconate, ubiquinone (coenzyme Q10), tocopheryl acetate (vitamin E), allantoin, salix alba bark extract, piper nigrum seed extract, lavandula angustifolia extract, ginkgo biloba extract, cupressus sempervirens oil, copper gluconate, dimethicone, ascorbic acid, achillea millefolium extract, silicone oxide, cupressus sempervirens seed extract, panthenol (vitamin B5), hydrolyzed yeast protein, tilia cordata flower extract, stearic acid, cetyl alcohol, simmondsia chinensis seed oil, linum usitatissimum seed oil, hesperidin, dipeptide-2, tetrapeptide-3, EDTA, phenoxyethanol, sorbic acid, xanthan gum. "This product worked amazingly well on broken capillaries on cheek! Almost completely gone! No other product worked as well, and I've tried everything short of surgery." Ashley R.